Acadia is a national treasure and dynamic outdoor classroom. Friends of Acadia is working to increase opportunities for every Maine school child to have a chance to experience hands-on learning with park rangers in Acadia: to uncover Maine’s glacial history, explore the homesteading life of early Mainers, discover unique shoreline and forest habitats, and understand issues that will influence Maine’s future. 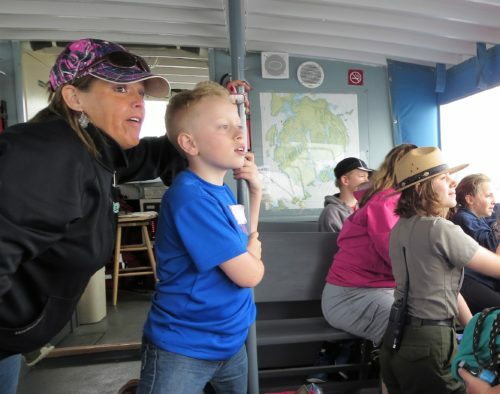 Recognizing that transportation costs may be prohibitive for some schools to plan a field trip to the park, Friends of Acadia has offered transportation scholarships for day trips to Acadia and Saint Croix Island International Historic Site since spring 2015. Funding is for day programs for public schools and is not intended for residential programs. Priority will be given to public schools that demonstrate the greatest financial need, but all are welcome to apply. If you receive funding, the teacher/school is responsible for coordinating transportation.